LONDON — Repsol, the Spanish oil company, said Tuesday that it had agreed to a $5 billion compensation deal with Argentina for the seizure of the company’s operations in that country, ending a bitter two-year dispute. A settlement would ease serious tensions between Spain and Argentina, as well as concerns about Argentina’s ability to develop what is thought to be some of the world’s richest holdings of shale gas and oil. “To finally reach a friendly agreement on this contentious issue that has taken two years I would say is extremely positive, “said Repsol’s chairman, Antonio Brufau, in a statement on Tuesday. According to the agreement, Repsol would receive $5 billion worth of guaranteed Argentine government bonds for the 51 percent of the energy company YPF that Argentina expropriated. In return, it would drop its legal claims over the matter. The legal claims include lawsuits in the United States and Spain against Chevron, which invested in an Argentine shale gas joint venture with YPF in an area of Argentina called Vaca Muerta, or Dead Cow. A settlement could help open the way for investments by other international oil companies in Argentina, which needs financing and technical help to develop its vast energy assets. “Argentina still offers the majors access to one of the highest quality shale plays available globally,” said Oswald Clint, an analyst at Sanford C. Bernstein in London. Repsol’s board approved the deal on Tuesday. It still must be approved by Repsol shareholders, and it is subject to the approval of the Argentine Congress. The settlement would allow the Spanish company to move ahead with its own investment plans after the expropriation in Argentina took away about 60 percent of its oil and natural gas production worldwide and half of its reserves or resources in the ground. Analysts at RBC Capital Markets in London said in a note to clients that a deal with YPF would be “strongly positive” and would give Repsol cash to pursue potential acquisitions. While Repsol appears to have decided that it would be better to settle now, for less money, than to face years of court actions, analysts suggested that it was under pressure to prevent further souring of relations between Madrid and Buenos Aires. Mexico has also been involved in the dispute, as its state-controlled oil giant, Pemex, is both a shareholder in Repsol and a possible investor in Argentina. Pemex is facing greater competition in its domestic market after Mexico’s Congress approved a bill in December to end its state oil monopoly and lure foreign investors to Mexico. The search for a Repsol settlement was “clearly very influenced by political authorities” said Luis Padrón, an equity analyst who covers Repsol at the Ahorro Corporación Financiera in Madrid, adding that the authorities had pressured Repsol to agree to a lower amount than they had requested. Repsol representatives and Argentine officials have been working on the final terms of the agreement since reaching an agreement in principle in November. The central difficulty has been Repsol’s demands that any payment from the fiscally troubled Argentine government be guaranteed. Argentina, struggling to maintain its foreign currency reserves, announced in January its biggest currency devaluation in 12 years. To address Repsol’s concerns, Argentina agreed that the debt it owes for the YPF expropriation would not be extinguished until the bonds are paid off or Repsol makes $5 billion selling the bonds. The payment will be in the form of a mixture of old and new bonds with a face value of about $6.5 billion and interest rates of about 8 percent. If the deal goes through, Repsol would still own about 12 percent of YPF, which it could sell, raising more cash to add to the $4.3 billion it received earlier this year from the sale of its liquefied natural gas business to Royal Dutch Shell. 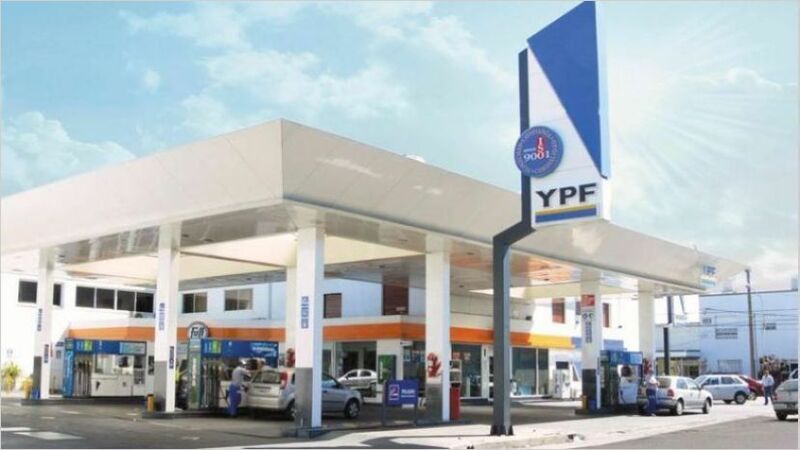 “The agreement is very positive for the country and YPF because it will permit improved investment in energy production in Argentina ,” said YPF’s chief executive, Miguel Galuccio, in a statement on Tuesday. The company registered strong success in exploration in 2012, adding to its reserves twice the amount of oil and gas that it extracted from its operations. The company said Tuesday that its reserves doubled in 2013. The Argentine government resisted compensation until last summer, but gradually shifted its position, partly influenced by the need for international capital to develop the Vaca Muerta field and other oil and gas fields. The country has begun to import liquefied natural gas at high market prices, giving the government an incentive to encourage domestic production. Argentina’s shale oil and gas resources could help turn things around. The United States Energy Information Administration estimates that Argentina ranks behind only the United States and China in shale gas reserves. Mr. Galuccio has been looking for international partners and has been lobbying behind-the-scenes for a settlement. Mr. Gallucio, a former senior executive at Schlumberger, the world’s largest oil services company, has set up a $1.2 billion joint venture with Chevron to develop a small portion of the Vaca Muerta. On Feb. 18, Mr. Galuccio signed an agreement with Malaysia’s national oil company, Petronas, on a another potential Vaca Muerta investment. But some oil companies may still need convincing that Argentina is one of the better destinations for their capital. Houston-based Apache recently said that it was selling its Argentine holdings to YPF for $800 million as part of an effort to focus on drilling in the United States and particularly lucrative international operations. “The deal may close the Repsol dispute, but it will not dispel concerns amongst foreign oil and gas companies about investments in Argentina, " said Richard Mallinson, an analyst at Energy Aspects, a London market research firm.